Crafting and packaging compelling stories and conveying them to the right audience is the essence of building a brand through PR. Yet we’re only as good as what we get out of our business partners. The question then becomes how to elicit thoughtful and interesting stories or nuggets of future narratives from clients and colleagues. 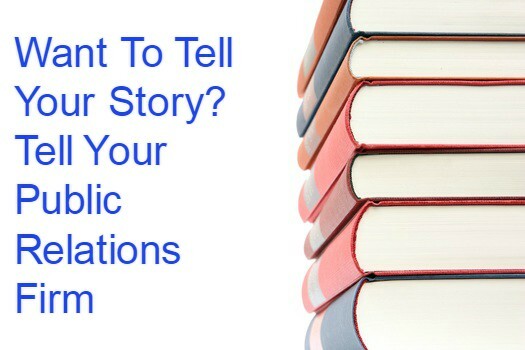 We have identified some ways companies can work with PR firms to make sure their stories are told in as meaningful a way as possible. Use meetings to get quality input. Are you really listening to your colleagues during a staff meeting? If so, you should be able to glean what’s going on in different departments up and down the organization and learn something that could be packaged as a story. Recently, a client who met with staff in a remote office heard about a first-of-its-kind study being conducted by the local team in collaboration with a nearby university. This led to a story pitch unlike anything the client had done before, ultimately resulting in interest from the major paper in the community. Leverage all milestones. Certainly most company leaders know to clue their PR partners in on major funding news or personnel changes. And, celebrating a company anniversary can be a winning PR move. But there are other company achievements that also make interesting stories. For “deals” shopping app Retale, we’ve made media noise each time we hit a downloads goal. We’ve also leveraged each partnership the company has formed, no matter the size, to great effect. Make the most of media monitoring. Sure, we all like to keep up to date with relevant news, but media monitoring can also help spark ideas by noting current trends and hot buttons to add currency to ongoing PR work. For example, seeing how a competitor handles negative news can turn into a positive story about your company’s advantages. A hot media headline might not seem relevant, but it might be worth talking to your PR agency and to see what they think. In our work with Wearsafe, the wearable “panic button” for personal safety, the plethora of stories focused on campus security provided optimal opportunities for coverage. Take a stand. For some clients, their own industry can provide great opportunity to take a position or adopt a point of view and earn positive press for it. When the infamous UK Brexit vote took place, currency exchange client HiFX voiced bold predictions about the “divorce” making them a sought-after authority on all things finance. Similarly, ultrasound pain device manufacturer ZetrOZ chose to speak out on the opioid epidemic in the US. The company struck PR gold with worker’s compensation and insurance industry pubs – exactly the company’s target audience. Adopt a formal interview process. Another way we’ve worked with clients to draw out good intel for PR purposes is through formal interviews. We conduct formal sessions with key players and use open-ended questions to make sure we pry the best out of them. It’s important to go into the conversation knowing that the PR team is on their side and that nothing will be released without their review; still, there are some who don’t like being interviewed. In those cases, we recommend a simple questionnaire that they can complete and return. However you do it, the secret to finding and mining the best stories boils down to close communication. When in doubt, err on the side of over-communicating with colleagues and partners. The results are nearly always worth it.